Primary ciliary dyskinesia (PCD) is a rare disorder of the mucociliary clearance leading to recurrent upper and lower respiratory tract infections. PCD is difficult to clinically distinguish from other entities leading to recurrent oto-sino-pulmonary infections, including primary immunodeficiency (PID). Nasal nitric oxide (nNO) is a sensitive and specific diagnostic test for PCD, but it has not been thoroughly examined in PID. Past publications have suggested an overlap in nNO levels among subjects with PCD and PID. We sought to determine if nNO measurements among patients diagnosed with PID would fall significantly above the established PCD diagnostic cutoff value of 77 nL/min. Children > 5 years old and adults with definitive PID or PCD diagnoses were recruited from outpatient subspecialty clinics. Participants underwent nNO testing by standardized protocol using a chemiluminescence analyzer and completed a questionnaire concerning their chronic oto-sino-pulmonary symptoms, including key clinical criteria specific to diagnosed PCD (neonatal respiratory distress at term birth, year-round cough or nasal congestion starting before 6 months of age, any organ laterality defect). Participants included 32 patients with PID, 27 patients with PCD, and 19 healthy controls. Median nNO was 228.9.1 nL/min in the PID group, 19.7 nL/min in the PCD group, and 269.4 in the healthy controls (p < 0.0001). Subjects with PCD were significantly more likely to report key clinical criteria specific to PCD, but approximately 25% of PID subjects also reported at least 1 of these key clinical criteria (mainly year-round cough or nasal congestion). While key clinical criteria associated with PCD often overlap with the symptoms reported in PID, nNO measurement by chemiluminescence technology allows for effective discrimination between PID and PCD. The online version of this article ( https://doi.org/10.1007/s10875-019-00613-8) contains supplementary material, which is available to authorized users. We would like to acknowledge Whitney Wolf (research technician) for specimen and DNA handling and processing and Invitae (San Francisco, California) for performing next-generation sequencing of known PCD genes. We also appreciate Shrikant Mane, Francesc Lopez-Giraldez, and Weilai Dong (Yale Center for Mendelian Genomics, [UM1 HG006504]) for providing whole exome sequencing and bioinformatics support. Funds to support this project were received from the Montreal Children’s Hospital Foundation and the National Institute of Health (NIH) research grant nos. U54HL096458 and 5R01HL071798. The Genetic Disorders of Mucociliary Clearance (U54HL096458) is a part of the National Center for Advancing Translational Sciences (NCATS) Rare Disease Clinical Research Network (RDCRN). RDCRN is an initiative of the Office of Rare Diseases Research (ORDR). NCATS funded through a collaboration between NCATS and NHLBI. The content of this manuscript are solely the responsibility of the authors and do not necessarily represent the official view of NIH. Yoshida K, Takabayashi T, Imoto Y, Sakashita M, Narita N, Fujieda S. Reduced nasal nitric oxide levels in patients with eosinophilic chronic rhinosinusitis. 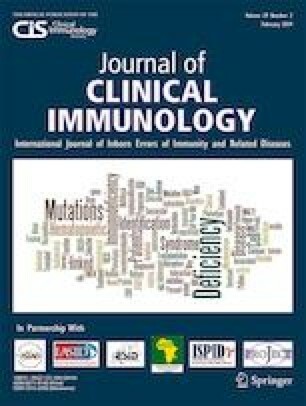 Allergol Int 2018. doi: https://doi.org/10.1016/j.alit.2018.09.005. Chawla K, Hazucha M, Dell SD, Ferkol T, Sagel SD, Rosenfeld M et al. A multi-center, longitudinal study of nasal nitric oxide in children with primary ciliary dyskinesia. Am J Respir Crit Care Med 2010;181. doi: https://doi.org/10.1164/ajrccm-conference.2010.181.1_MeetingAbstracts.A6726.